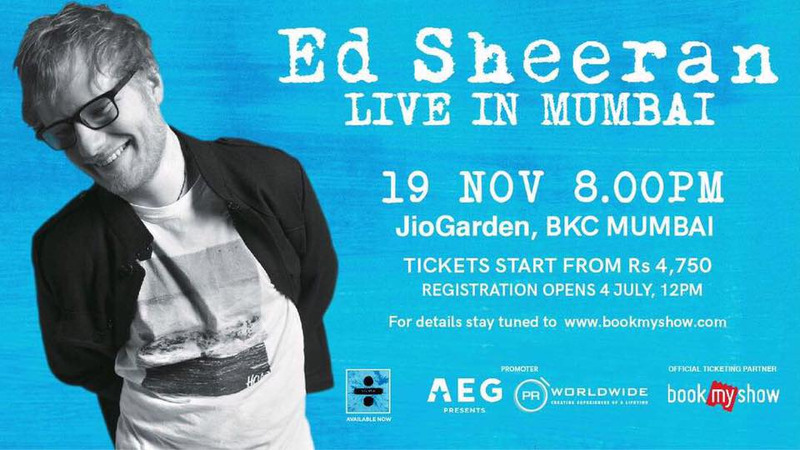 Ed Sheeran will be touring India on 19th November 2017. RSVP for more updates. Ticketing starts on 4th July 2017.